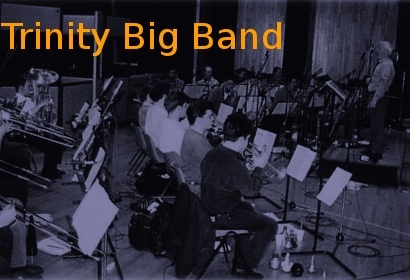 Trinity Big Band CDs @ Hep Records, jazz in depth from the 1930's to the present day. Directed by Bobby Lamb with Peter King, Kenny Wheeler, Mark Nightingale. The Trinity Big Band plays Bob Florence arrangements on this 1995 recording. Titles - Party Harty / Trinity Fair / BBC / Jewels / Willowcrest / Invitation / Forgetful / Samba De Rollins / Collage. Trinity Big Band - "Party Harty"